Update: Somewhat surprisingly, Google Compare is shutting down by March 23rd, 2016. We’ve heard rumblings of a mortgage comparison tool from Google, but today it finally became official. The mega search (and everything else) company announced the availability of “Google Compare for Mortgages” this morning in a blog post on their AdWords site. Google noted that nearly one out of two borrowers don’t shop around when taking out a mortgage, which appears to be the impetus for its launch. Starting today, you can comparison shop for a mortgage using Google Compare for Mortgages, well, as long as you reside in California. The company plans to roll it out to other states soon. The new tool works like existing mortgage comparison tools in that you answer questions related to your prospective loan and receive tailored quotes. It goes a step further than other comparison sites by asking how long you plan to stay in the home and what you can reasonably afford. I played around with it this morning and was actually pleasantly surprised. If you opt for the latter you’ll be asked a series of questions starting with mortgage purpose and your zip code. As noted, it’s only available for California residents, so if you live outside California but want to play around with it, enter a California zip code for now. Once you enter in that basic info, it will ask for the estimated property value, current mortgage balance, and credit score. Google offers some handy tips along the way, noting that you’ll get a better rate if you’ve paid off a larger portion of the mortgage when refinancing. Additionally, they note that a higher credit score will result in a lower interest rate and better financing options. You’ll then be asked how long you plan on owning the property. In a blog post on this site, I brought up the question of how long you plan to keep your mortgage. This is important because you shouldn’t overpay for a long-term fixed mortgage if you plan to sell in the next three or four years. 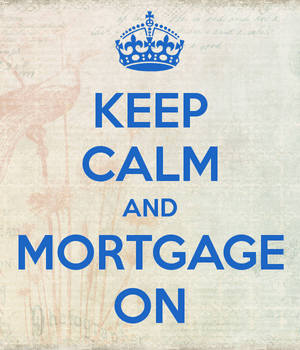 But if you do plan to hunker down, a fixed mortgage might be a wise decision to avoid any interest rate resets. Finally, they ask how much you can pay each month to determine if you can pay your mortgage down faster, assuming you want to go with a 15-year fixed instead. Then they list the recommendations based on all your answers into separate groups of quotes. Notice I entered 30 years of ownership. I also indicated that I could afford a very large monthly payment so they recommended a 15-year fixed. If I had put four years of ownership and entered a smaller affordable monthly payment it might recommend a short-term ARM instead. I like this feature of the tool because it goes beyond lowest rate and actually explains why you’d choose one loan option over another based on your own unique situation. Once you get to the final page you’re also able to expand the loan criteria to change the occupancy type, include VA loan eligibility, or mention any past credit slipups. If you want to get to that page faster, simply click on one of the “view all” buttons at the bottom of the start page and you can enter all criteria on a single page to update the results. Going forward, you may see the new tool when conducting searches for a mortgage-related term on Google. You can also visit the comparison tool directly here. If you’re an advertiser, you can get your company listed in Google Compare for Mortgages on a flexible cost-per-lead (CPL) model. Both LendingTree and Zillow have already separately announced partnerships with Google on the new venture. Read more: How lenders come up with your mortgage rate. Mortgage search tool to help borrowers find the best deal? What a load of crap….look at the fine print at the bottom of the “Google mortgage search” screen and you’ll see that they are nothing more than a licensed mortgage broker in 2 states–that gets PAID by lenders for referring borrowers to those lenders.